What is the “fourth wall”? Simply speaking its the window we as an audience look through when watching a movie. It’s our point of view. In fiction film, the fourth wall doesn’t exist within the story. In other words the characters within the fictional world don’t know it’s there. 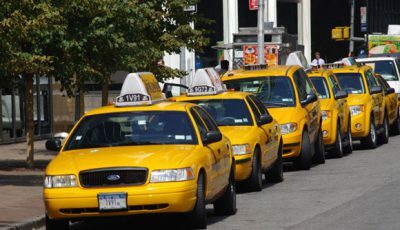 However, filmmakers have chosen to use the imaginary fourth wall within the story to create a different dynamic between the film and the audience. This is usually seen by way of a character looking into camera (therefore acknowledging that it exists) and speaking directly to the audience. In Fight Club, Brad Pitt gives the speech that starts off with, “You are not the car you drive, you are not the contents of your wallet…” By the end of the monologue, he is staring directly into the camera, then it shakes and apparently comes loose. It’s one of the most blatant breaking of the fourth walls in film history. In last summer’s very funny film We’re The Millers, David Clark, played by Jason Sudeikis, stares at the camera and smiles as if to say, “Hell yea!” when Jennifer Aniston is performing her strip tease for the bad guys. It also gets a good laugh from the audience. 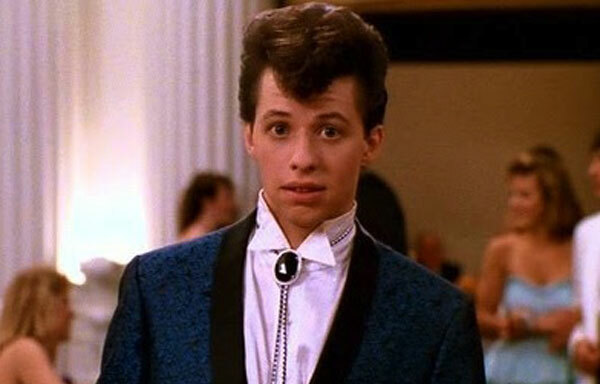 In Pretty In Pink, after Duckie sees Andi at the prom and tells her to go after Blaine, he glances around and spots a very attractive girl checking him out. Ducky, as you may recall, lacks self esteem and it was one of his glaring faults all throughout the film. But when this new hot girl is checking him out, he points at himself and whispers, “ME?”, and she nods yes. He then looks directly into the camera, raises his eyebrows and makes his way over to her. It gets a big laugh every time. 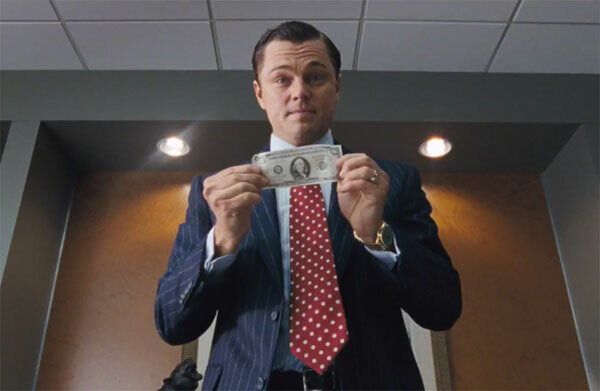 In The Wolf of Wall Street, Leonardo DiCaprio talks to the audience on numerous occasions, two of the most notable are when he is walking down the stairs in the morning, explaining all the drugs he takes throughout the day. As he is walking towards his chauffeur, he tosses his glass of orange juice behind him and you hear it break and DiCaprio never stops talking to us.. There are other scenes where he attempts to explain eclectic terms and scenarios to us, before stopping and just telling us the audience that it really doesn’t matter. All of this adds to the brilliance of the film, which is why, in my opinion, it is the best film of 2013. 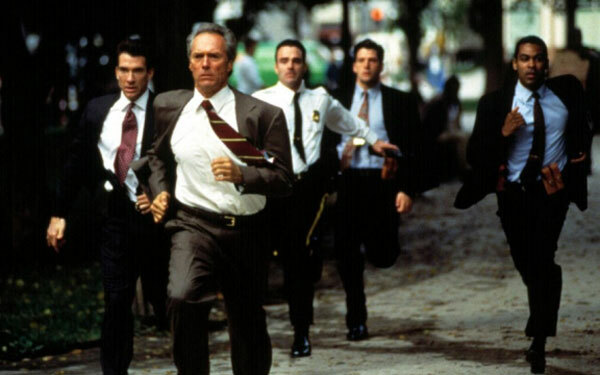 There is a great breaking the fourth wall moment in the trailer for Clint Eastwood’s In the Line of Fire. In the teaser trailer, we hear the voice of John Malkovich telling us that he sees Clint Eastwood standing over the body of another dead president. As the numbers 1963 turn into 1993, we see Clint loading his gun and he then turns to the camera and says, “That’s not going to happen.” It was a very effective teaser for the film. 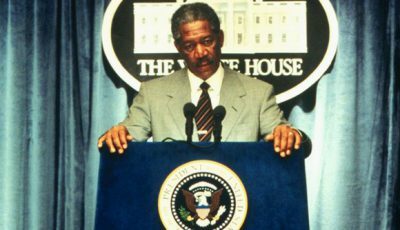 In JFK, the fourth wall isn’t broken in the traditional sense, but director Oliver Stone breaks it nonetheless. In Jim Garrison’s closing arguments, he is pleading his case to the jury. 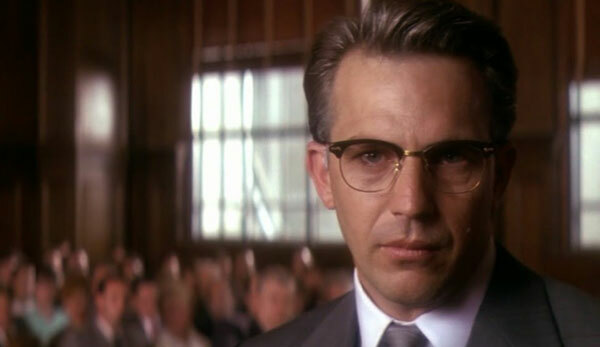 The closing speech is very lengthy and as Kevin Costner is finally ready to wrap it up, the camera begins to move towards Costner so that it is eye level with him. His last words are, “It’s up to you.” And as he is saying these words, he is looking directly into the camera, at us, the audience. Although this is not the number one spot on my list, it is my favourite breaking the fourth wall moment as the JFK fairy tale told by the Warren Commission is something I am very interested in. In one of the funniest breaking the fourth wall films, the criminally underrated Jay and Silent Bob Strike Back, there are two very funny moments. One is when Holden, played by Ben Affleck, says to Jay and Silent Bob, “a Jay and Silent Bob movie? Who’d pay to see that?” And then all three of them turn to the camera and glare at the audience. 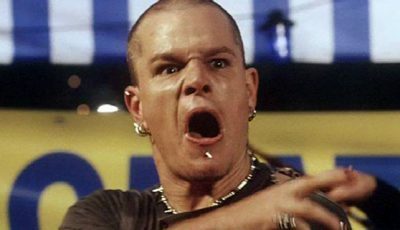 There’s another funny scene where Ben Affleck and Matt Damon play themselves playing their characters in Good Will Hunting and Affleck says, “you gotta do the payback picture because your friend says you owe him,” and then they pause and stare back at the camera (and Kevin Smith, who is directing Jay and Silent Bob and who produced Good Will Hunting, which made stars out of the two of them). In Gremlins 2, Hulk Hogan is summoned by an usher at a theater because the gremlins have stopped the movie “Gremlins” and replaced it with Snow White and the Seven Dwarfs. 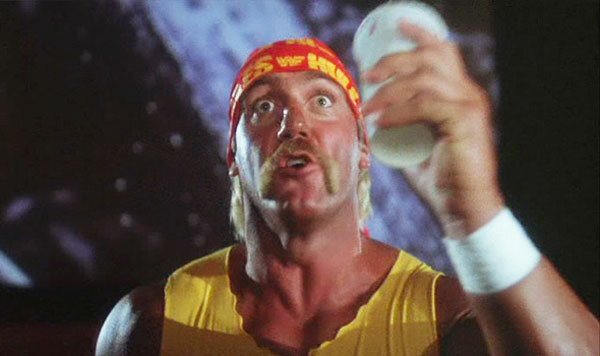 Hogan, who at the time was one of the most well known celebrities in the world, stands up and in character, tells the Gremlins that the audience has paid good money to watch the film and if they don’t put Gremlins back on, Hulkamania is going to run wild on them. The Gremlins take heed to his warning and put the film back on. Clever and completely ingeniously done by Joe Dante. And the number one breaking the fourth wall moment in film is of course Ferris Bueller’s Day Off. The entire film has Ferris talking to us, the audience. From moments where he tells about how much he loves driving the Ferrari to the time when he is in Chez Quis talking to us about not getting busted by a guy like him, they are all funny. 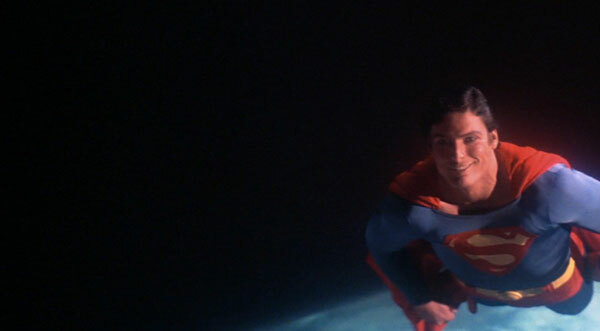 But the best is the after credit scene where he has just gotten out of the shower, peers around the corner and asks, “You’re still here?” And then he tells us, “Go home, it’s over.” A great bonus for those who stuck around till the end of the movie. Over to you: what films that break the fourth wall stand out for you? Really interesting post! I love how it is used particularly in Fight Club and in The Wolf of Wall Street. I haven’t seen Wolf of Wall Street yet so I skipped that paragraph, but I’ve always loved films that break the fourth wall. I’m a videogamer too, it’s rare to see in games although there are a few notable titles, it’s something Hideo Kojima (Metal Gear franchise) likes to do too. A lot of these are great examples. I’d forgotten about the Jay and Silent Bob scene; I haven’t caught that since the theaters. The JFK scene is also a cool choice in a different way. For other picks, there’s of course the original moment of breaking the 4th wall in The Great Train Robbery in 1903. That movie has a bad guy shooting his gun directly at the screen in a moment that has nothing to do with the actual film. @Caitlin: Thanks for posting. Yes, those two are probably the two most fun entries on the list, and perhaps Jay and Silent Bob Strike Back. @Michael Scoates: I don’t think you’d have to skip the paragraph about Wolf. There’s really nothing in there that would spoil the movie for you. In fact, I think the scene I mention might even be in the trailer. @Dan Heaton: YES! Great call on The Great Train Robbery. i almost put that on my list, but I haven’t actually seen the 1903 film so I left it off. And Dan, great job on the pictures to accompany the article. The Ducky one really cracks me up. His face is just so funny in that scene. A really interesting top 10, Dan! The Affleck/Damon scenes in Jay and Silent Bob Strike Back work so well, I love the fact they are making fun of themselves. Kevin Smith actually has a knack of getting the best out of Affleck. I’d add Alfie for consideration. I think Caine is brilliant in the film despite my problems with it overall but its breaking of the fourth wall is so integral to the entire film. As I mentioned in your article about Caine, I really need to see more of his films. I have seen the original Alfie (or the remake for that matter) nor have I seen your number one, Get Carter. I love the Stallone remake and I liked Caine in that too. So I really need to watch more of his films. Someone should do a top 10 Phillip Seymour Hoffman films. I would, but sadly I haven’t seen some of his best films. I embarrassed to say I have not seen Boogie Nights or Capote. 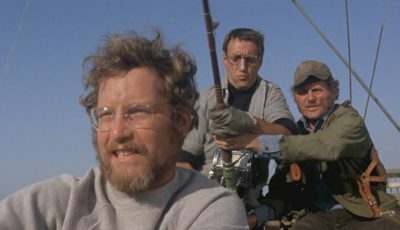 Hoffman was a brilliant actor, one of my faves. Even his small roles in films like Punch Drunk Love (SHUT UP!! SHUT UP!!) are memorable. There’s a great moment in Annie Hall where Alby (Allen) is having to hear a guy talk in a queue for film tickets and when they get into an argument over a film scholars work, Alby brings the scholar into the frame to help argue his point.. Anyone remember this? I’m a bit rough on the details, but it’s genius! How on earth is Kiss Kiss Bang Bang not in this list? And High Fidelity? Nice to see “Pretty in Pink” on here……..one of my favorite John Hughes films!! Great list! 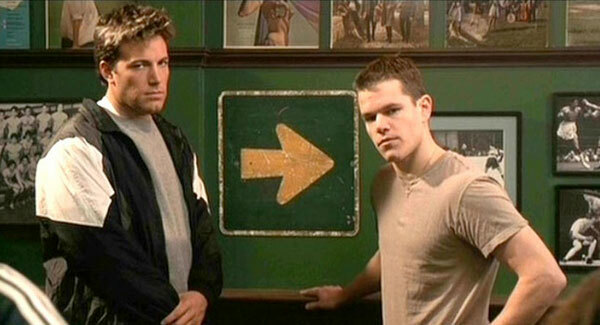 I love that Affleck/Damon scene in Jay and Silent Bob. Arguably my favorite scene from any Kevin Smith film. You missed one of the best examples of this off the list, Kuffs. Cheesy but great film. John Belushi in Animal House, when he’s up the ladder perving at the girls through the window (he turns to the camera with a sleazy smile and raises his eyebrows). The final shot of Henry Hill (Ray Liotta) in Goodfellas with his “so it’s all come to this” look. Here’s the thing guys and gals (and thanks for commenting), there’s only ten you can put on a top ten list. All of the ones you mention are great as well but there’s no room for them all. @karm Singh: Yes, the Annie Hall one is a good one. Annie Hall is a sore spot for me because it beat Star Wars for best picture, so I forget most things about that film. @Luke: I actually haven’t seen Kiss Kiss Bang Bang, which is sad on my part because I’m a big Joel Silver and Shane Black fan. I will get around to this soon. Thanks for reminding me of it. @Subhan Zia: Yes, the Goodfellas end scene is priceless and I wrestled with putting it in at number 10, but again, it’s a numbers game. Goodfellas is one of my fave films as well, but I just felt the ones on my list were a tad more deserving of their spots. @Geoff: I’ve never seen The Billion Dollar movie. @Neal: The Ducky scene at the end of PIP is so fitting. PIP came out before Ferris Bueller and maybe it set the tone for Hughes to do what he did in that film. Whatever the case may be, it’s a perfect way to end Ducky’s part of the story. @That Cowboy: Kuffs is another great one. I like that movie a lot as well. @Mark: Animal House and Airplane were on my short list as well. Two really funny scenes. The Belushi one especially. Great list! I loved that moment in We’re the Millers, such a clever and funny little trick. Enjoyed reading this list! It was awesome when it was done in Wolf of Wall Street, and despite disliking We’re the Millers, that was the most clever part of the film. Hogan and Gremlins 2 haha, that brings back memories! I completely agree with your number one. Definitely the most effective breaking of the fourth wall I’ve see. I’ve never actually seen Amelie. Sad, I know. Very good and well thought out selections! One of the better breaks of the fourth wall is opening of ‘The Pope of Greenwich Village’ with Mickey Rourke setting the day’s attire to Frank Sinatra’s ‘The Summer Wind’. Sets a great thumbnail for the scene while offering glimpses into Mr. Rourke’s kind of oily character! Another film I must see then. I remember as a kid always coming close to renting the Pope of Greenwich Village and then settling on the next cool horror movie. So I have to get around to finding that one someday. I just watched Weird Science last night. I completely forgot that it too broke the fourth wall on several occasions. Excellent use of the tactic as well. I really like the idea of this post. And I hadn’t considered it. what a great topic for a top 10. Nice work! Great unique post. It’s funny because I’ve been watching Ultimate Spiderman (TV) off late and in that Spidey breaks the fourth wall all the time. I always like it when that happens as it’s comic and also in a weird way brings the audience into the picture. I’ve seen a lot of films recently where they break the fourth wall. It’s a tactic used a lot more than I realized. Another good one was Bluto in Animal House. Love your choices! It’s a great comedic device and when it’s used well, it’s always great to see. I’d add a host of scenes from the Muppet catalog. Kermit especially breaks the 4th wall on the regular. Just took a look at the trading places clip Dan….that is pretty funny. Top list, but Funny Games (Original) and JCVD are the two that always spring to mind for me! The first is spine-chilling, and the second is heart wrenching – who knew Van Dam had chops like this…. Really cool story; audience feel more connected and interested in a scene with such film-making method. After reading the post I realized that new Indie film-makers should use this to make viewers more into the subject; they don’t need a great screenplay every time. The French film Amelie is a good example of breaking the fourth wall…and it is a truly charming film as well. Also – and I know this is Ancient History – the Bob Hope and Bing Crosby movies broke the fourth wall quite a few times. 1) Animal Crackers, in which Groucho Marx (who broke the fourth wall in almost all the Marx Bros.’ movies), repeatedly excuses himself from a conversation: “Pardon me while I have a strange interlude. Here I am talkin’ of parties. I came down here for a party. What happens? Nothing. Not even ice cream. The gods looked down and laughed. This would be a better world for children if the parents had to eat the spinach.” All the interludes are, of course, have absolutely nothing to do with the rest of the conversation. Brilliant non sequiturs. 3) In the final moments of A Shot in the Dark, Inspector Clouseau has gathered all the players together for the traditional reveal the identity of the murderer and how he was caught. But the group starts feuding and Clouseau loses control. After attempting to quiet the shouting, he looks directly at the audience with as angry a look as Clouseau can muster. It’s one of the many little touches that elevates this first Pink Panther sequel above the original.